2.Hummus is mashed chickpeas blended with tahini, olive oil, lemon juice, salt and garlic Eggplant Spread is fire roasted eggplant mashed with tomatoes, onion, parsley, garlic, feta and olive oil. A sensational appetizer for two made for seafood lovers , our famous grilled or Fried Calamari, skewer of grilled Shrimp, and a pan-fried Grouper fillet, topped with onions and parsley. A real value dish of our finest seafood. SAVOIR THE BEST OF GREECE! Your of one of our fabulous salads Salad with one fillet of grilled Grouper seasoned perfectly with Greek spices. Our recipe has been called the best ever! Avgolemono is made from chicken broth, rice, lemon, egg and chicken. Foamy, beaten eggs are combined with chicken broth to make this unique soup. This recipe has been called the great healing soup. A great compliment to any meal. This is a must try! WE OFFER YOU THE ATHENS CAFÉ CHALLENGE – If you don’t like it we will take it off your bill! Our Famous Gyro is spiced lamb and beef tightly packed and stack roasted upright, the layers meld together and the grill person manning the gyro rotisserie cuts of paper-thin slices, served on an open face pita bread with tomatoes, raw red onions, lettuce, Greek tzatziki Nothing is more Greek than the Gyro. Served with a choice of Greek Salad or Cup of Soup and one side. GROUPER - is a lean, moist fish with a distinctive yet mild flavor, large flakes and a firm texture. Grouper's flavor profile is like a cross between Bass and Halibut. From one of the ancient Centers of Civilizations, your choice of a fish fillet Athens blends the taste of sautéed tomatoes, garlic, feta cheese, and a dash of the famous Greek aperitif Ouzo , an aniseed liquor all pleasantly covering your choice of Grouper or Bassa fillet slightly floured and pan fried. A grilled shrimp skewer seasoned with Greek herbs and vegetables. Enjoy this special shrimp dish, you have arrived! This Lemonato sauce is a mainstay in the Greek cuisine. A grilled skewer of Shrimp or Scallops is smothered in one of our famous sauces - Lemonato. This lemon and white wine sauce with sautéed mushrooms compliments the seafood the Greek way. A grilled skewer of Shrimp or Scallops covered with our sautéed spinach, herbs, and feta cheese special sauce make this dish a Grecian delight named for one of the most famous islands in the world. From the Isle of Crete, this lemon and while wine sauce is loaded with artichokes and carrots is served over a grilled skewer Shrimp or Scallops. Artichokes play an essential role in the Greek cuisine. $11.95 Our popular pork souvlaki is flamed broiled and seasoned with Greek spices and vegetable. 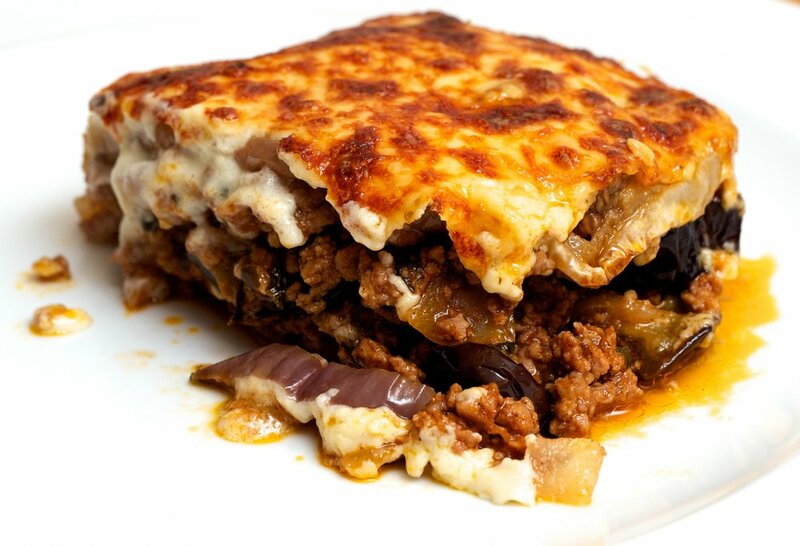 This dish is available in every Taverna in Greece and a dish that the Greeks cannot live without. Served with French Fries and a Greek Salad. 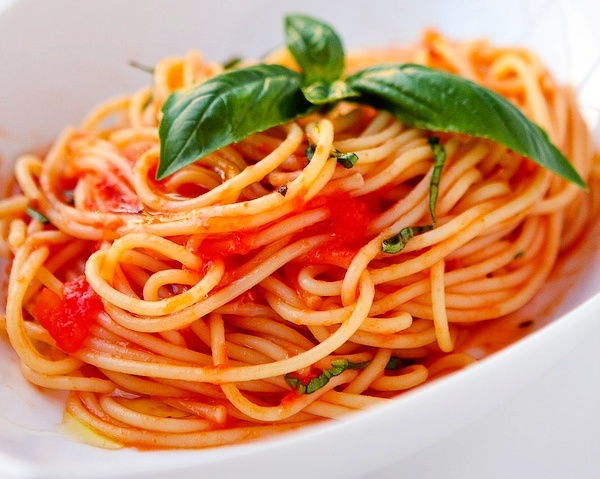 Your favorite pasta tossed in sausage and peppers Greek Marinara sauce. Comes with your choice of soup, salad, or fries. warm pita with onions, tomatoes, and homemade tzatziki. A filet of fried Grouper fried served in a warm pita with lettuce, tomato, onions, and tzatziki sauce.